With 13 plus years of experience in the SEO industry, our founder SEO Expert Shailen Lodhia has seen it all. Things have really changed in the Search Engine Marketing world and being ranked on the first page isn't good enough anymore. You need to be ranked on top for your keywords to can get the most out of Search Engine traffic. Our Digital Marketing programs are designed to fit the budgets of large, medium or small business. Search Engines are moving targets because they change the rules often. When they do this it can shake up the rankings. They do this to make sure that you are getting the most relevant result when doing a Search. Google's goal is to get it right for users who type in questions looking for answers. If Google has the answer, why would anyone look any further? Our SEO Experts are here to help you as your NJ SEO Company. SEO = Search Engine Optimization is the science of getting online traffic from organic listings. Next to having a well-designed website, SEO is the most crucial step in establishing an effective online presence for your company. It is a highly complicated process, best handled by experts who have mastered the art of navigating the Search Engines' ever changing algorithms. SEO is an investment that takes time and capital. Don't be reckless with your investment. Hire us to turn your investment into returns with our custom designed local SEO NJ campaigns. PPC = Pay Per Click is using paid listings on Search Engines to get traffic to your website. Paid listings typically appear above and below organic listings. Compared to SEO, PPC marketing allows you to target consumers who are specifically looking for products or services that you offer. By directing customers to specific pages on your website (depending on the ad they click), PPC can effectively increase your conversion rate. We believe that successful PPC campaign should reach the maximum number of target audience while staying within the preset keyword and budget parameters, thereby giving you the most return on your investment. Contact us today to get started on you PPC campaign. SMO = Social Media Optimization or Social Media Marketing is the rising star of the Online Marketing universe. As consumers of diverse demographics turn to social media staples such as Facebook, Instagram, Twitter, YouTube, Google Plus, Pinterest, Yelp and LinkedIn for information, it becomes imperative for companies to have a unified, branded presence across these mediums. Each platform comes with it's own specifications for do's and don'ts, which can get especially cumbersome for small companies and entrepreneurs. We help our clients create a unified presence across all Social Media Platforms with Social Media setup and integration with website, branded content and visuals and ongoing management options. Find out how we can help you. ORM = Online Reputation Management is the process of managing your online presence. With the emergence of social media and review websites, good and bad press is only a click away. It takes only one negative review to hurt the reputation of even the most honest and credible company. As such, it is imperative to constantly monitor what customers say about your brand across all platforms. We help you promote goodwill and trust in your brand by managing negative feedback by helping you address it (if valid) or suppressing it through proper channels (if fake). 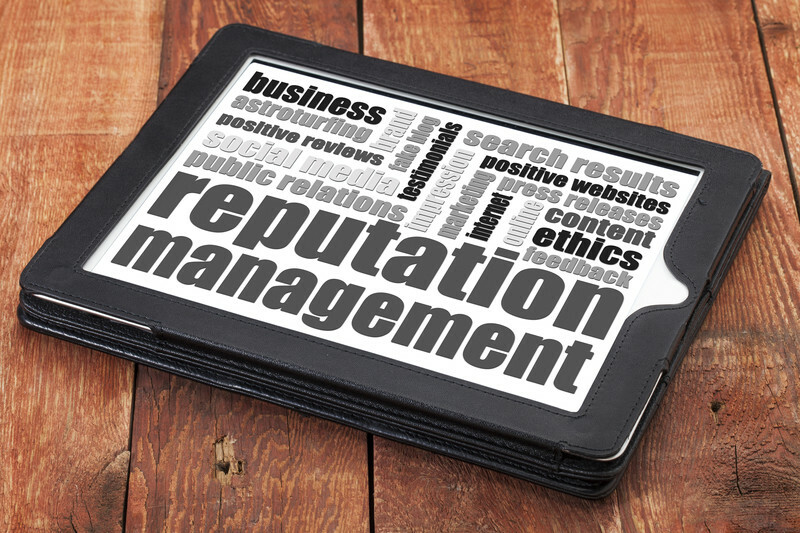 Your online reputation is key to the success of your brand. Do not gamble with it. Call us today to see how we can help.